Whether they’re oozing with cheese or dripping with a special sauce, sliders are one of the easiest — not to mention one of the tastiest — appetizers of all time. So next time you’re tasked with bringing an app (or just really want something fast and easy for dinner), use the tips below to whip up a pan full of sliders that are far from ordinary. Trade in your bun for something fun. Reach for bite-size waffles. Heat up a few potato cakes. Go for mini bagels or biscuits. If you’re feeling extra adventurous, take out some frozen waffle fries, bake them according to the package instructions, and then pile on your favorite meats and cheeses. 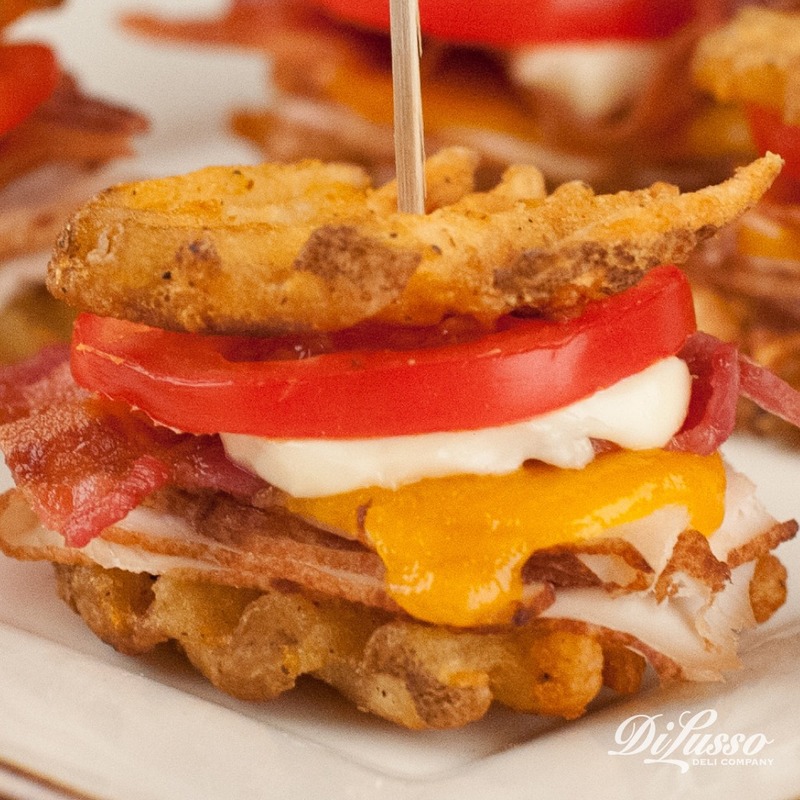 We stacked these Waffle Sandwich Sliders with ingredients reminiscent of the classic turkey bacon club and then used our horseradish dijon aioli for dipping. We took pointers from one of the most universally loved dishes of all time – pizza. 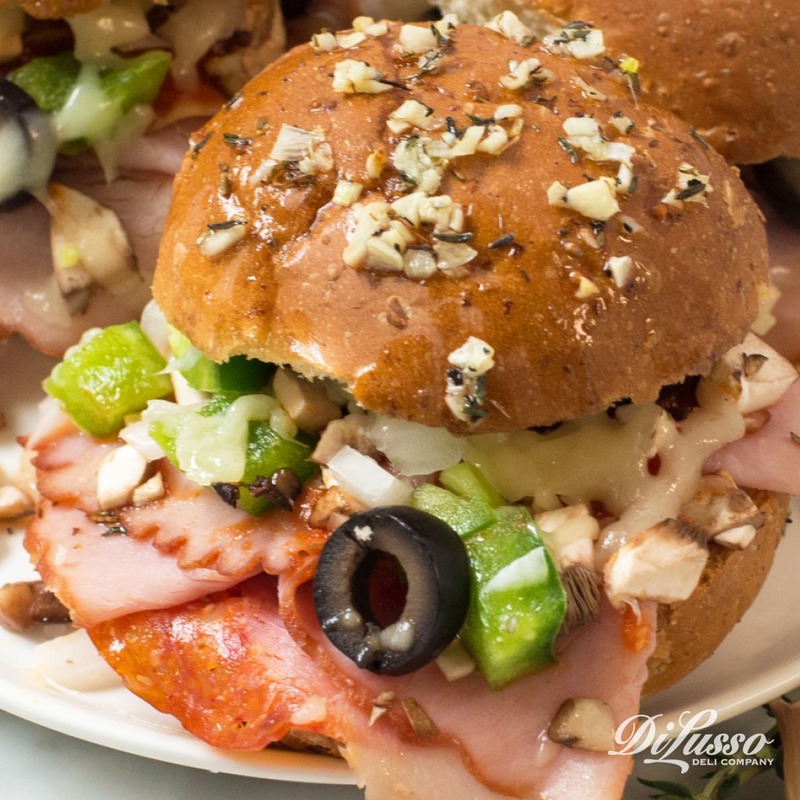 Heaped with loads of our melty mozzarella, spicy pepperoni and smoky ham plus classic toppings like bell peppers, black olives and mushrooms, these Supreme Pizza Sliders are crowd pleasers. We even brushed them with a garlicky sauce to give them more of that authentic pizza taste. Not a fan of all those toppings? Switch it up! Add, subtract and multiply to your heart’s content. Or get inspired by your own favorite pizza, whether that’s a classic Margherita, a sweet-yet-savory Hawaiian, a smoky BBQ Chicken or something completely different. Some like it hot. If you’re in this camp, you’re going to want to try these Buffalo Jalapeño Popper Sliders. We sandwiched two beloved fiery flavors between salted pretzel buns to create these spicy sliders. You can play with the heat index by adjusting the ingredients. Leave the jalapeño seeds intact to crank up the heat. Or swap them out for something hotter, like habañeros. You can also bring on the heat by adding your favorite sweat-inducing ingredients. Maybe it’s sriracha or a dollop of horseradish sauce. Maybe it’s red chili flakes or cayenne pepper. 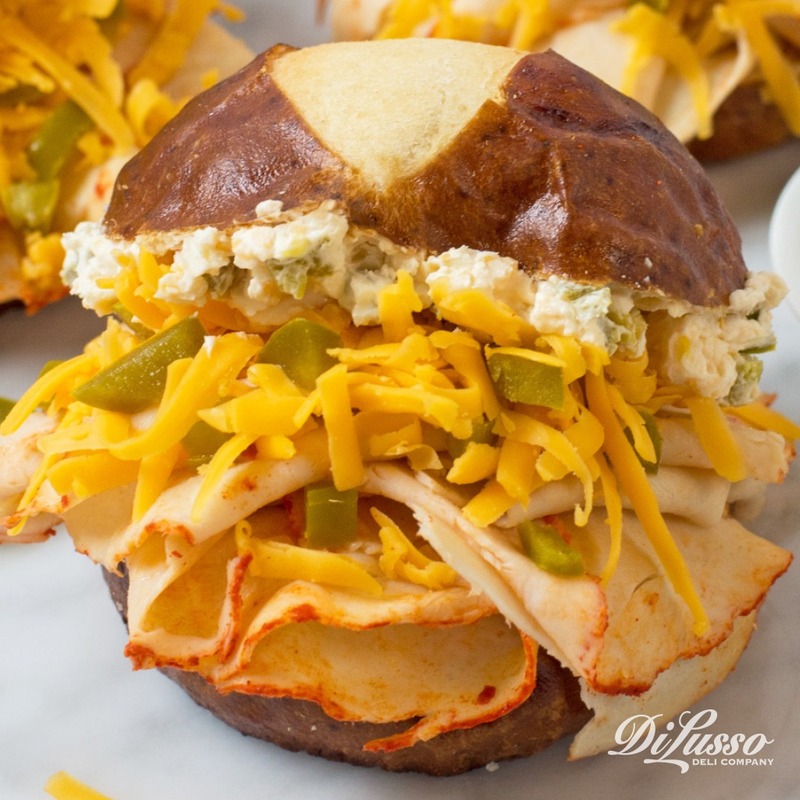 Plop your buns, rolls, waffles, bagels (whatever you’re using as the base) on the grates and let the flames create those iconic lattice grill marks and that irresistible smoky flavor. Then pile on the rest of your ingredients and serve. If your other ingredients lend themselves well to the grill, you could cook those over the flames too. Veggies work particularly well, like the bell peppers and onions in a classic Philly Cheesesteak. You can grill large quantities of veggies quickly and easily in foil packs. Build your base, then garnish with something out of the ordinary, like a crunchy jicama slaw or a spicy-sweet fruit salsa. Maybe even a pickle relish or mango chutney. We added a fresh spoonful of homemade kimchi to these Korean Beef Sliders, giving them a sweet, savory and slightly tart flavor. It also adds a nice pop of color, freshness and texture. If you’re short on time, make your kimchi the day before and let it chill in the refrigerator overnight. Then just top them off and go! Or opt for prepared kimchi you can find in grocery stores. 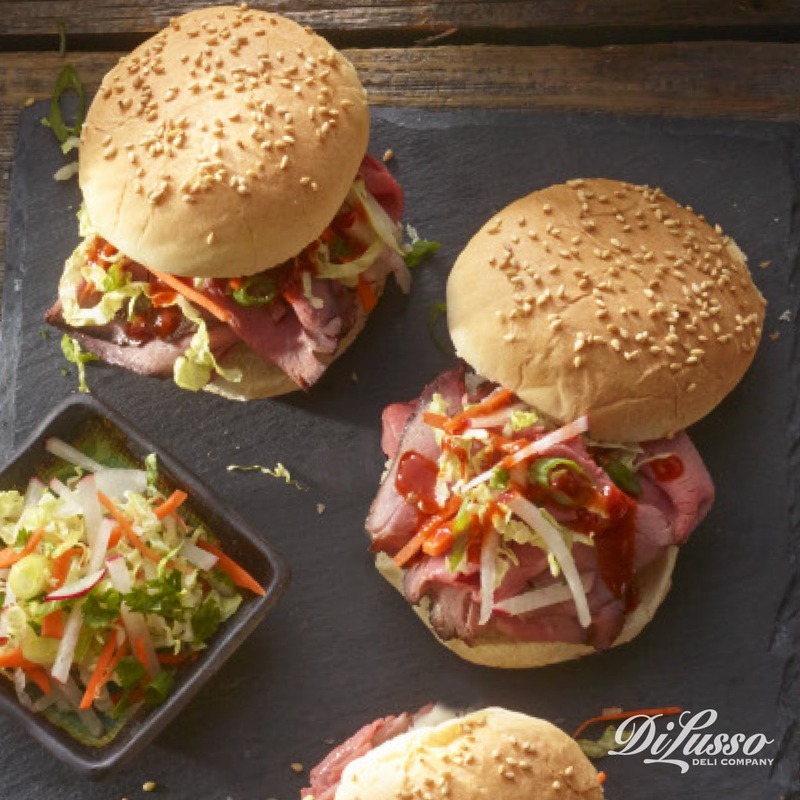 Give your sliders a pop of flavor with a special glaze or sauce. Just brush it over the buns after the sliders have been fully assembled. 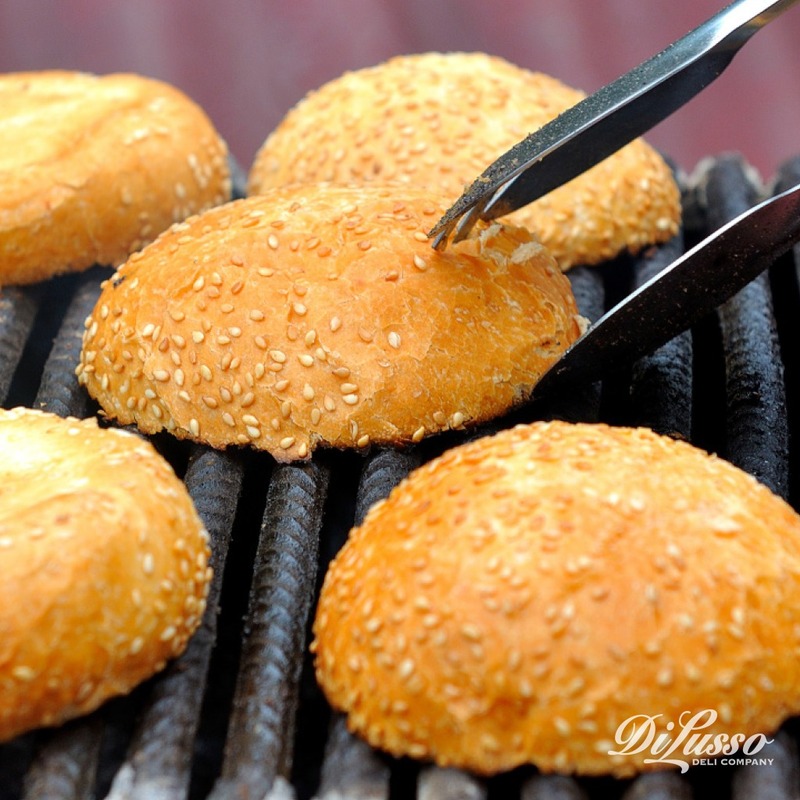 Then cook so those flavors soak into the buns and drip down the sides of your sliders as they heat up. 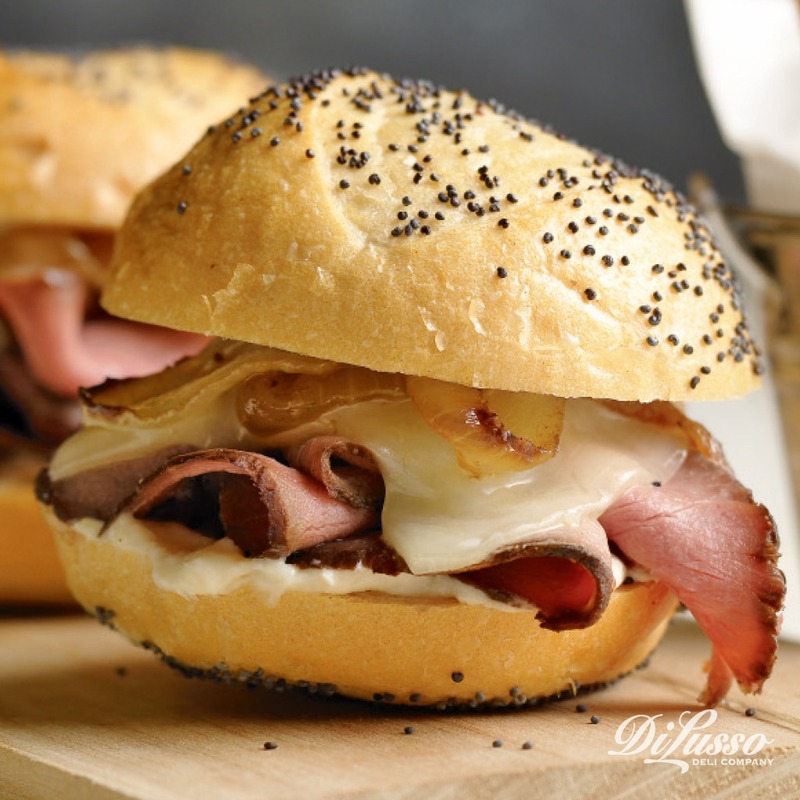 We used a smoky, tangy poppy seed glaze on these Roast Beef Sliders. It pairs perfectly with the semi-sweet caramelized onions and our melty provolone cheese. Pick your favorite sandwich and shrink it. Try a few mini Muffulettas. Prep some pint-sized Italian hoagies. Or maybe classic Cubanos.